When I came out as a lesbian in 1986 it was a quiet event that I shared with a few friends. I didn’t tell my family, who exhibited signs of homophobia. Dad: That good for nothing Howie killed his mother (meaning my gay cousin is the reason his obese mother died of a massive heart attack at 50). Me: Howie did not come out until three years after her death. The Gay Rights Movement and The Women’s Movement were in full swing well before 1986, yet for many of us, coming out was still something we did quietly, because our families, and often our friends, didn’t get it. It was in this era that a columnist for a major city newspaper said he would “tolerate” gays but he would never “accept” them. He was just a few steps away from airing the views of the Westboro Baptist Church, yet his view, at the time, was mainstream. He was a “liberal.” That’s where we were 27 years ago. Some of you probably remember the amazing coming out of Ellen DeGeneres on her sitcom, “Ellen.” I recall this as one of the funniest and most touching shows I’ve ever seen — I believe it was unprecedented for someone to use her own television show to let the world know she was a lesbian. The coming out episode was shown on April 30, 1997, 11 years after my own quiet coming out. You can see clips from this episode on YouTube (search for Ellen DeGeneres Coming Out Episode.) The episode featured Laura Dern as Ellen’s love interest and Oprah Winfrey as her therapist. I assume that many of my readers know this CD, but if you don’t, get it. It’s truly an historic coming out effort by a brave woman. And Melissa just rocks it. Jodie Foster and I are same age, and I completely get what she’s saying. I think she also said she was single during that speech. Huh, um, does anyone have her number? Thank you to all the famous women who have come out — and many have — for paving the way for the rest of us to feel a little less alone in society. One would hope that in another century, “coming out” would be an obsolete phrase, because no longer would we need to state to the world who we are and then prove to it that we have rights or that we are normal or that we are good. We would just enter the world accepted, loved and with the same rights as everyone else. 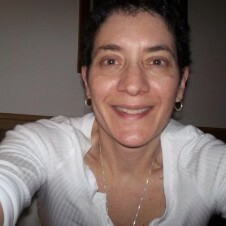 Cindy Zelman is a writer based in Boston, whose blog, “The Early Draft,” explores a variety of topics, including lesbianism, writing, agoraphobia and humor. Posted March 6th, 2013 & filed under Blogs.